Description An experiment in cyclic game design. 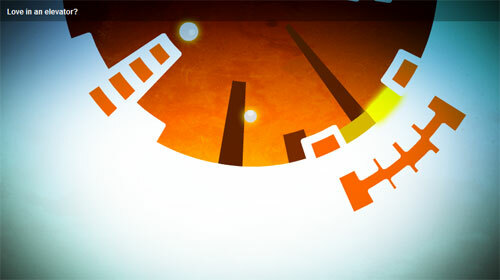 Puzzle platformer set in a cylindrical world. We made this game for the Experimental Gameplay Project back in April 2010. You can jump after you fall off a ledge. This is a very nice experiment. Well done.